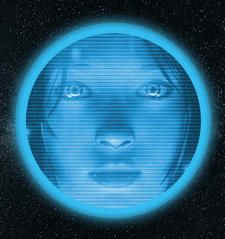 We’ve noticed that a lot of people don’t like Cortana, and that’s OK. Some people think “she’s” a Microsoft spy, I guess. But hold on… there’s more to Cortana than meets the eye. Cortana is also known as taskbar search. You can taskbar search for a lot more things than you think. Taskbar search is one of the most underused and misunderstood features of Windows 10. And it’s one of Windows best time-saving features. If you’re one of those who avoid taskbar search because of its association with Cortana… then you’re missing out on a great, time-saving feature of Windows 10 , we tells ya! For instance… if you want to find System Restore, you can fumble around in Settings and you’ll be redirected to System Information/System Protection. But did you know if you type System Restore in taskbar search, you’ll find it almost as fast as you can type System Restore. Just by typing “system restore” (no quotes) in taskbar search you’ll immediately be able to access System Restore, or create a manual restore point. Don’t want Cortana / taskbar search or even its icon taking up your taskbar real estate? Don’t worry! You can bring up taskbar search / Cortana with the Windows Key + S shortcut. Try it, you’ll see! OK here are some of the many things you can do with Cortana / taskbar search. To open Notepad, type note and press enter. To open MS Word (if installed) type word and press enter. To open WordPad, type wordpad and press enter. Open Chrome, Edge, Firefox, Emsisoft and many other (but not all) programs. Just type the program’s name and press enter. Type “documents” (no quotes) to open your Documents folder. Type “pictures” (no quotes) to open your Pictures folder. Type “music” (no quotes) to open your Music folder. Type “downloads” (no quotes) to open your Downloads folder. And if you type a file path like C:\Windows\System32 and press enter, you’ll go directly to that folder. No more digging around in File Explorer. If you’re not using Cortana / taskbar search, you’re missing a lot. Try some of the things shown in this article. And don’t be afraid to experiment with taskbar search on your own. We think if you start using it, you’ll keep using it. We use it all the time and we think you will use it all the time too. Thanks for an even better explanation of Cortana, I like it even more now. Wow! Thank you. Why have I not realized that? You have certainly helped me to find almost anything. Most of what you have said works on windows 7 as well.